Safety Components' primary focus is to develop innovative and cutting-edge fabrics that maximize high quality and durable raw materials for today's technical markets. Safety Components is a global market leader in technology driven fabric solutions for first responders, military, outdoor, and other high performance textiles. Safety Components has been manufacturing textile fabrics for over 100 years at its plant in Greenville, South Carolina. the largest and most diverse apparel fabric producers in the world, we present Sigma 4 Star protective fabric as the ultimate in FR battle dress protection, comfort and durability. A wide variety of finished weight options are available, ranging from 2.9 to 7.0 oz/yd². BodyShield composite technology is a patent-pending flame resistant insulative garment system. The combination of Stealth™ outer shell fabric technology and Versatech® FR lining technology coupled with the BodyShield FR insulating composite technology provides maximum protection against the elements in extreme cold weather conditions, superior FR and near infrared protection, while maintaining the proper balance of breathability, warmth, packability, and aesthetics. Building upon a manufacturing heritage that spans more than 100 years, Safety Components engineers a range of natural or producer-colored Nomex® products for military end uses. Our manufacturing capability includes fabrics for pilots’ and combat vehicle crewmen’s coveralls as well as the latest in FR industrial workwear and structural firefighting gear. Safety Components produces a variety of technical fabrics for the military. These products include various mil spec end uses, ballistic fabrics, fuel cells, polyester tentage, and numerous other applications using nylon, polyester, and aramid yarns. In addition, we welcome the opportunity to partner and develop any new fabrics based on customer requirements. Technology in PPE has advanced at an amazing rate over the last few years. Lighter, stronger, more flexible FR fabrics coupled with ergonomic garment designs have revolutionized the way firefighters perform while wearing turnout gear. Filament Twill Technology™, developed and patented by Safety Components, can be found in outer shells like PBI Max™ and Armor AP™ and in thermal liners like Glide™. resistance to abrasion, or most recently the inclusion of military grade Kevlar® for improved durability…look to Safety Components for superior outershell fabric performance. performance such as moisture management, freedom of movement and weight gain. THL performance and water repellent spunlace for improved moisture wicking. Regardless of the tasks at hand, these situations all demand gear that is lighter, tougher and drier. That’s why we employ the most advanced weaving technology in the world, combined with high performance fibers like DuPont™ Nomex®, DuPont™ Kevlar®, Lenzing FR and PBI to offer garments that are lighter weight, yet provide advanced protection and performance. Fabrics that assure higher thermal protection with exceptional comfort and durability, fabrics that are certified to NFPA 1977/1975/1951 — the most reliable garments on the market today. Safety Components has been the leading producer of automotive air bag fabrics in North America since developing the industry’s first air bag fabric for General Motors in 1968. Recognized as the highest quality and lowest cost producer in the automotive industry we proudly sustain a large market share. In fact, in every customer survey since 1990, Safety Components has been rated as the highest quality supplier in the air bag fabric market. We design and manufacture a complete range of fabrics for driver, passenger, side-impact, knee-bag and side curtains air restraints. All our fabrics are fully inspected and tested to customer specifications in our ISO/IEC Guide 25 accredited laboratories. At Safety Components we know the air bag business and we are air bag fabric specialists. As with other divisions of Safety Components, quality and safety are our number one priority. seat fire-blocking and specialty fabrics for aircraft vapor barrier and insulation blankets. engines for the space shuttle and fabrics for crashworthy fuel cells for military aircraft. appearance all in one. WeatherMAX is designed to be water tight and breathable. including acrylics and solution-dyed polyesters. WeatherMAX is unmatched in appearance and provides superior longer lasting performance for color and strength retention - outperforming traditional outdoor fabrics. Super high strength and durability, combine with long-term color retention to deliver a truly versatile marine fabric for a variety of applications. 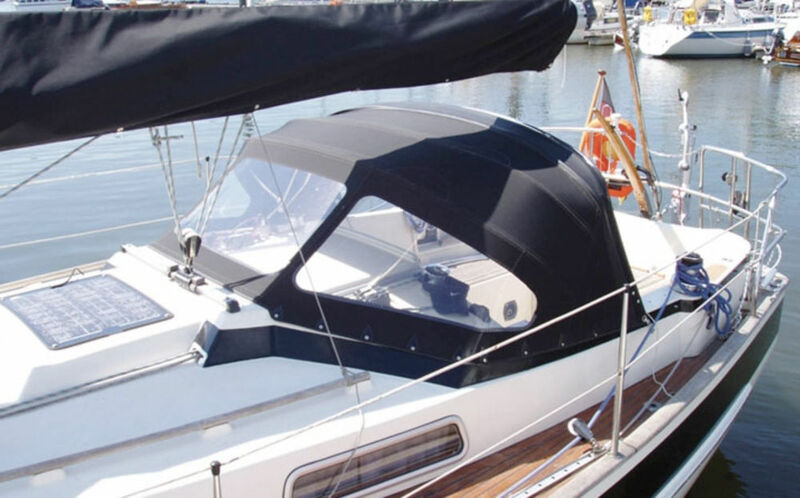 The industry’s most balanced and cost-effective fabric available for covers and awnings requiring outstanding durability, higher water repellence and excellent breathability. and semi-permanent tops, as well as enclosures. are produced and tested to each customer's unique set of specifications. and filament Nomex®, polypropylene, homopolymer acrylic and nylon fabrics. and have built a solid foundation for product quality and manufacturing diversity. fabric finishes is a key to our entrepreneurial success on many new products. Our staff awaits the opportunity to consult and service on your ideas. "A marine exterior fabric with a 10-year warranty, made from an advanced polymer alloy and built to withstand the harshest environment is unheard of."